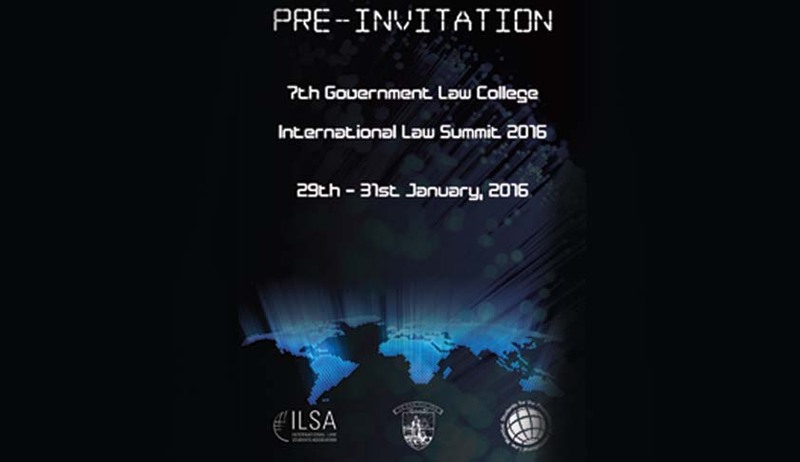 Original academic works are invited from all members of the legal fraternity, practitioners, professors and students at the 7th Government Law College International Law Summit. Registrations are permitted individually or in a team of two (2), three (3) or four (4). In case of the paper being authored by more than one individual, the names of the authors and the order of appearance must be specified. All papers must be typed and reproduced on a standard A4 paper (21 x 29 ¾ centimetres). The font and size of the text must be the same and must be in Times New Roman 12-point. The text of the Paper must have one and a half spacing. However, text of footnotes and headings may be single-spaced. Quotations of 50 words or more shall be block quoted (i.e. right and left indented) and may be single-spaced. All pages shall have margins of at least one inch, or two point six (2.6) centimetres, on all sides, excluding page numbers. All Citations must be in accordance with the Canadian Guide to Uniform Legal Citation.